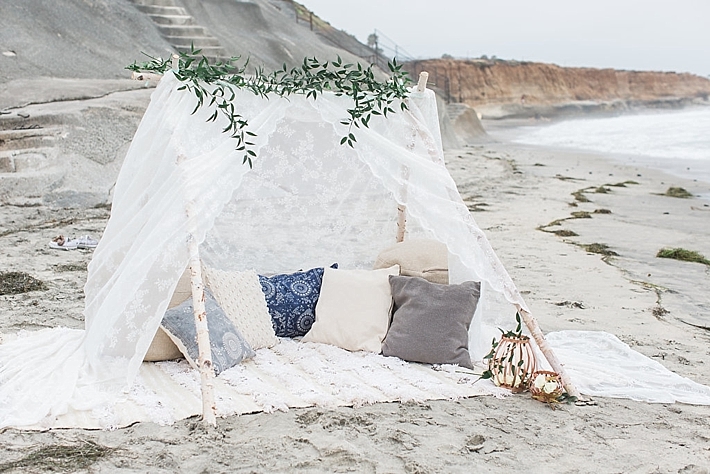 "Tucked at the bottom of a tiny staircase built into the edge of the cliffs lies Carlsbad's secret surf beach. 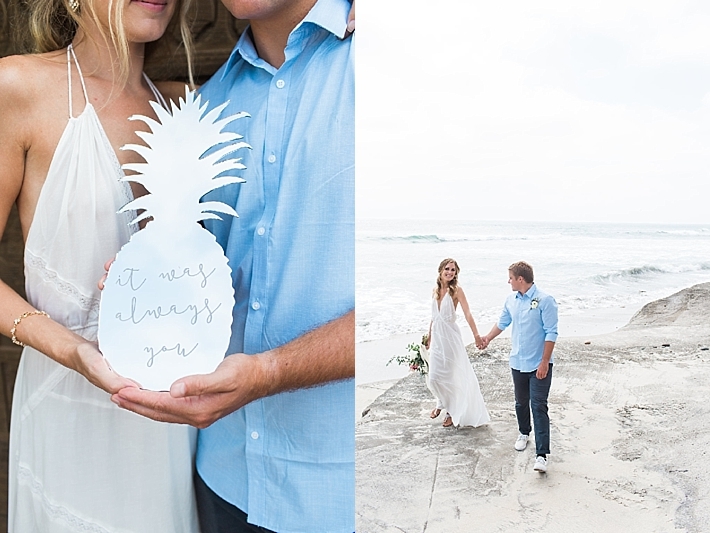 We trekked down the stairs carrying arms full of flowers and cake while the locals zipped up their wetsuits and waxed their boards. 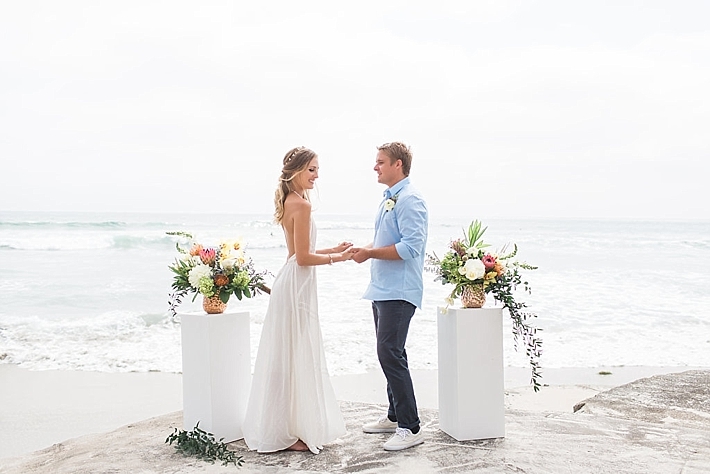 You have to time it perfectly, to wait for the waves to crash against the rock cliff and dance back out to sea to make you move towards the private beach around the bend but when you get there it's the most romantic place you could imagine. 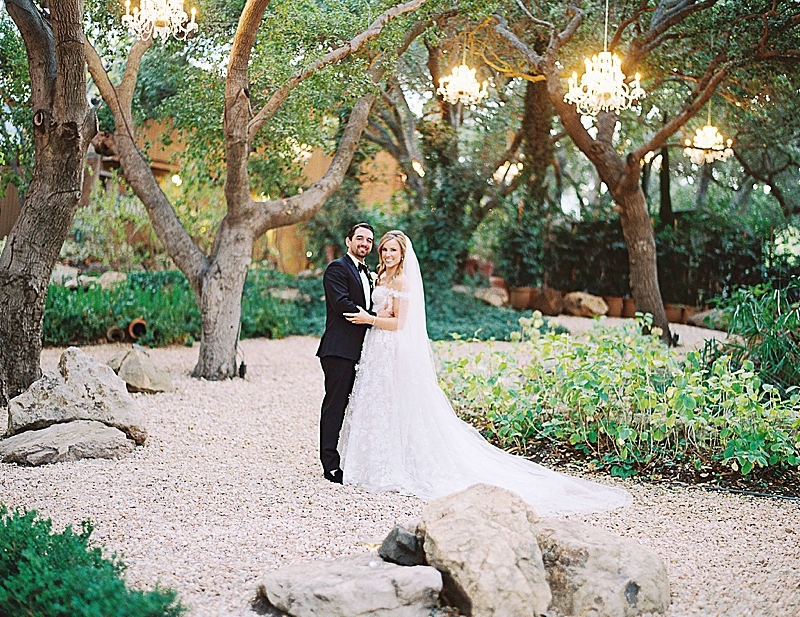 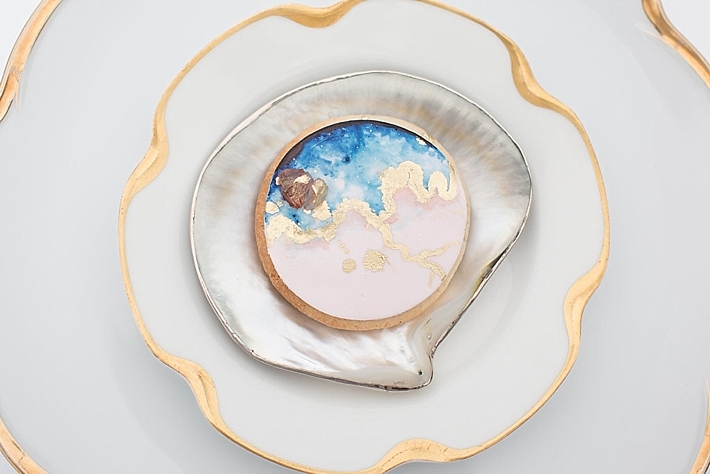 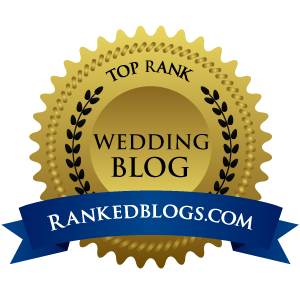 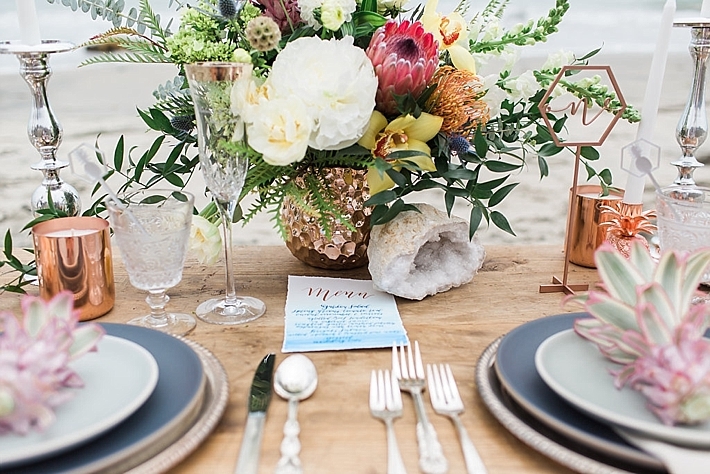 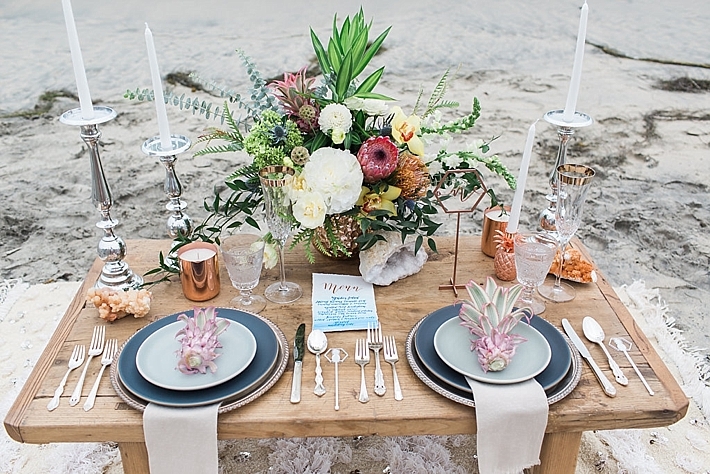 We wanted to keep everything very romantic, playing up the beach setting with tropical accents. 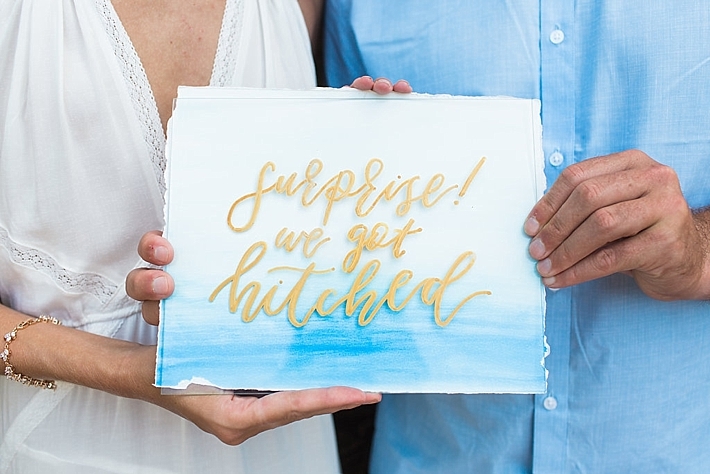 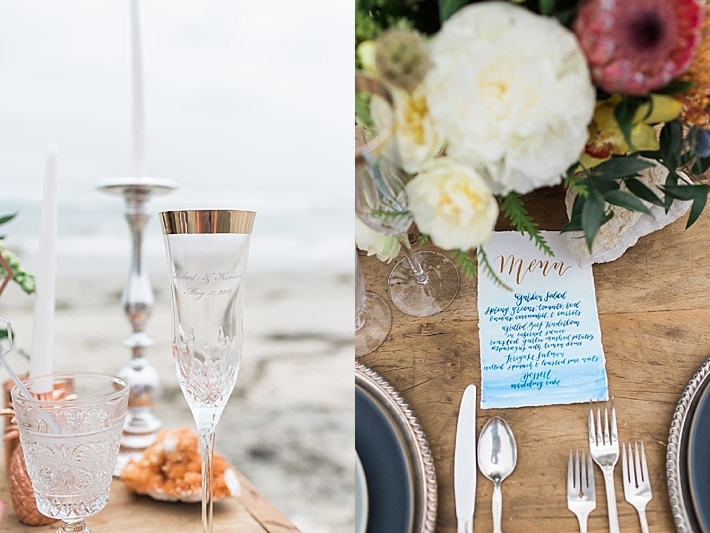 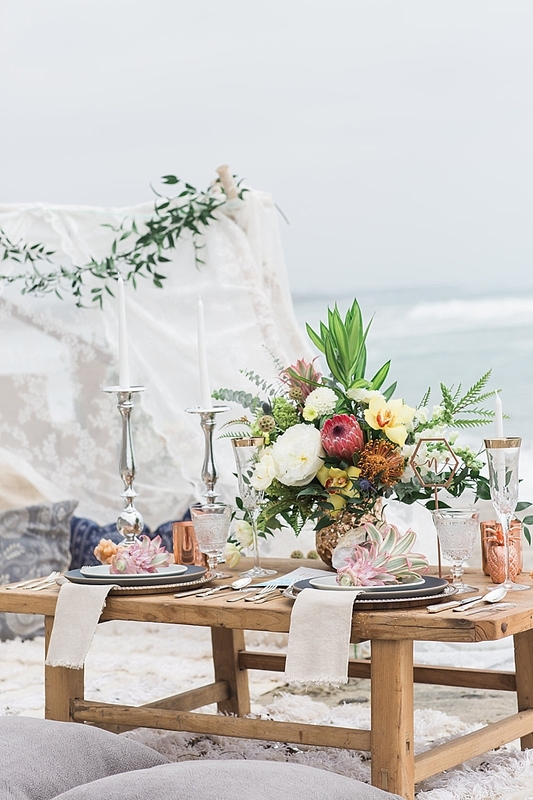 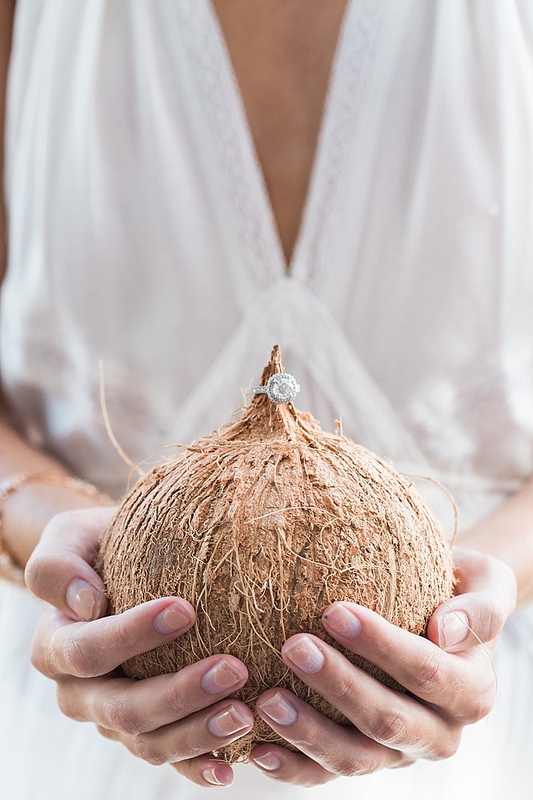 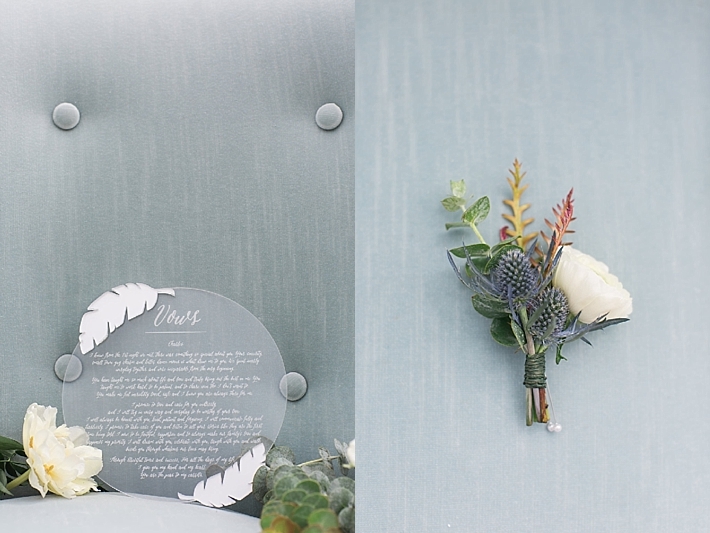 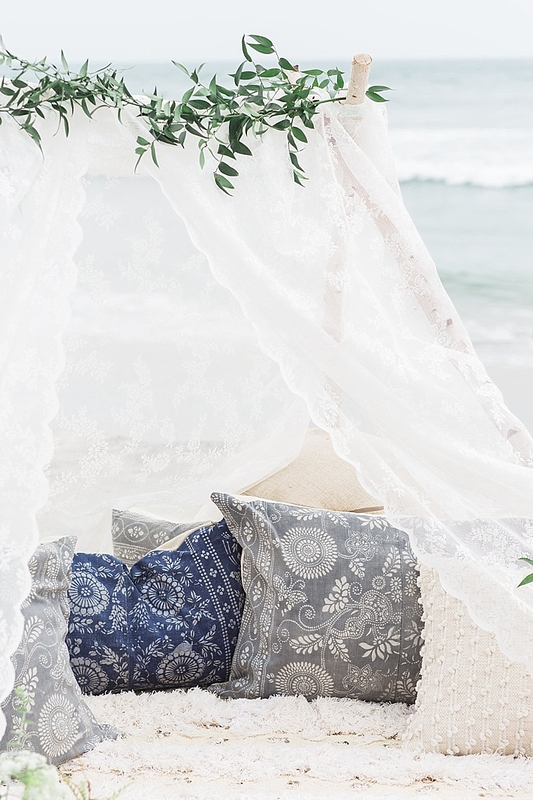 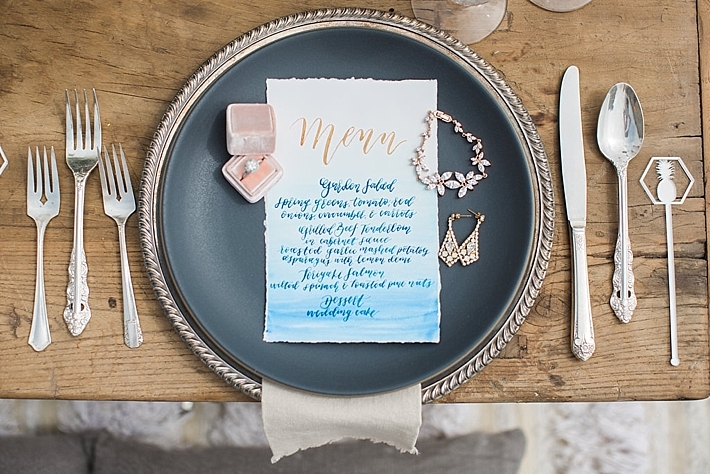 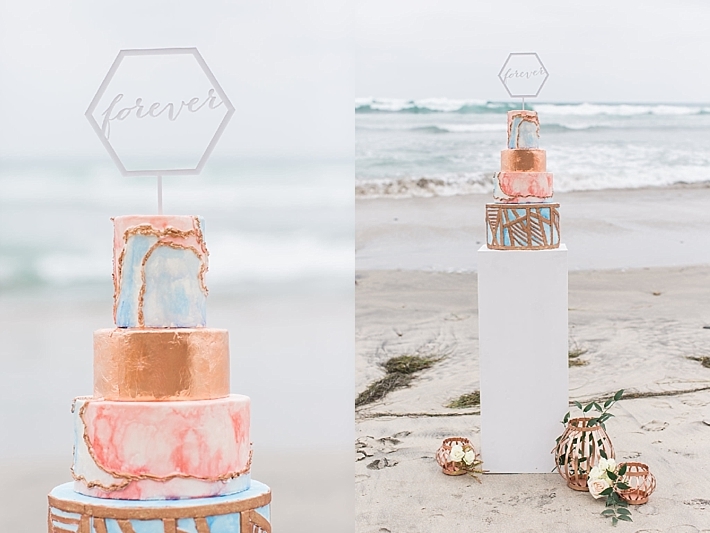 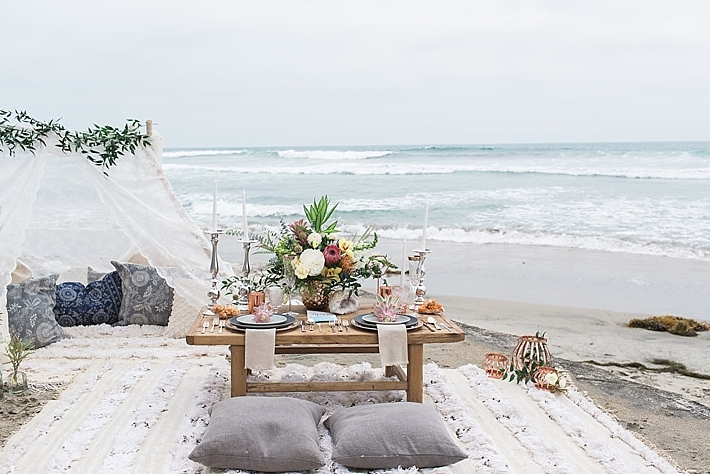 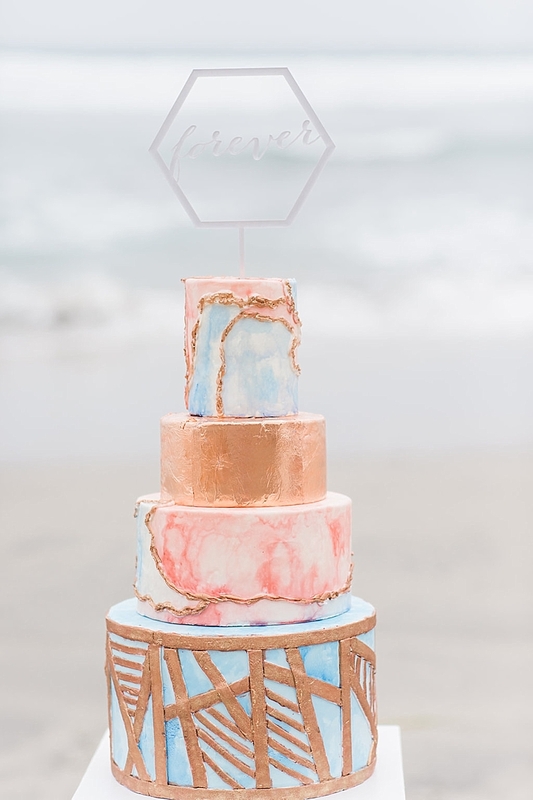 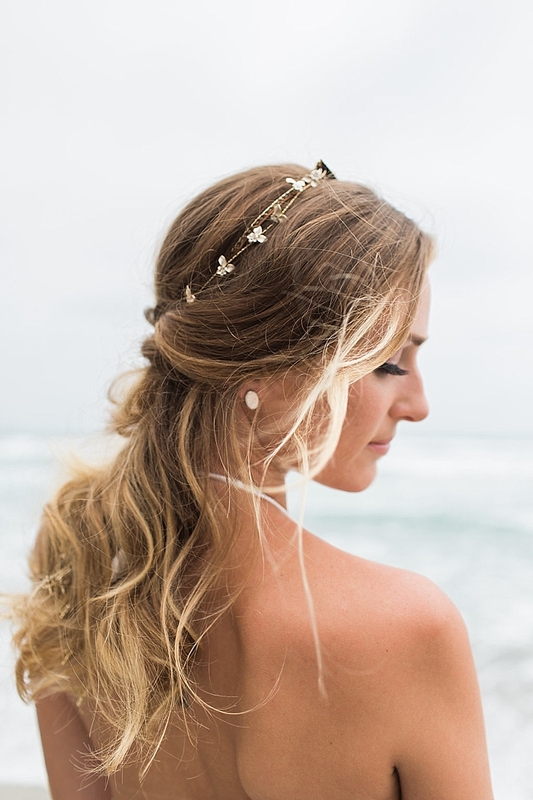 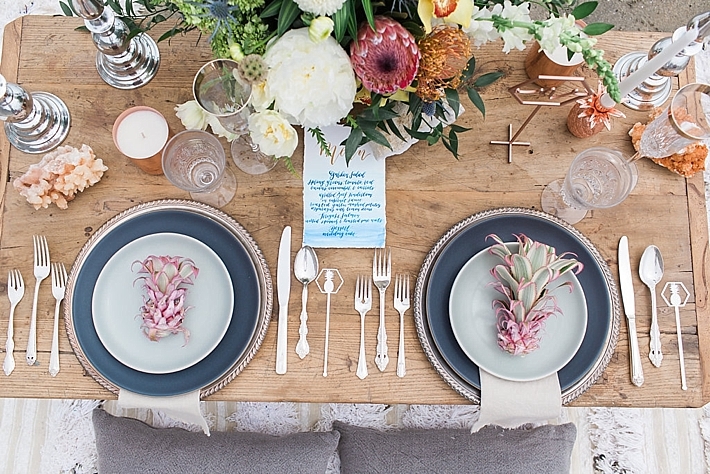 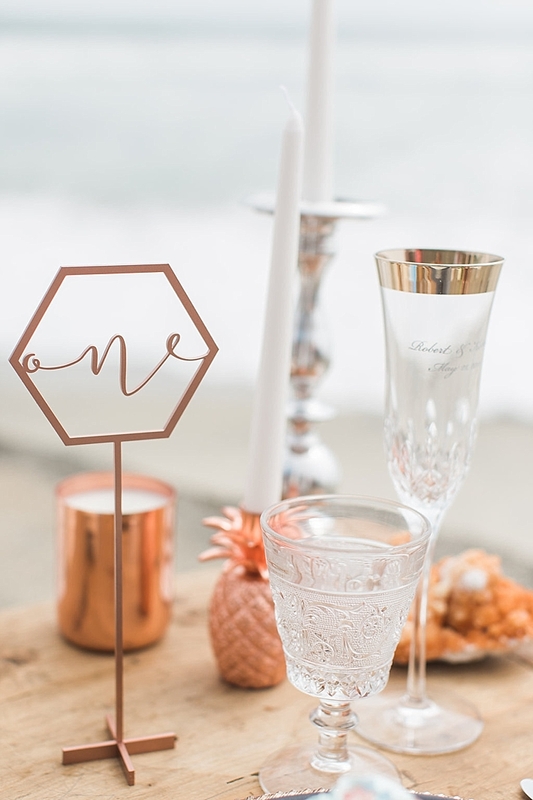 Love Anne Joy teamed up with Happily Ever Etched to style the shoot, keeping the natural color palette of the beach with shades of blue and gray. 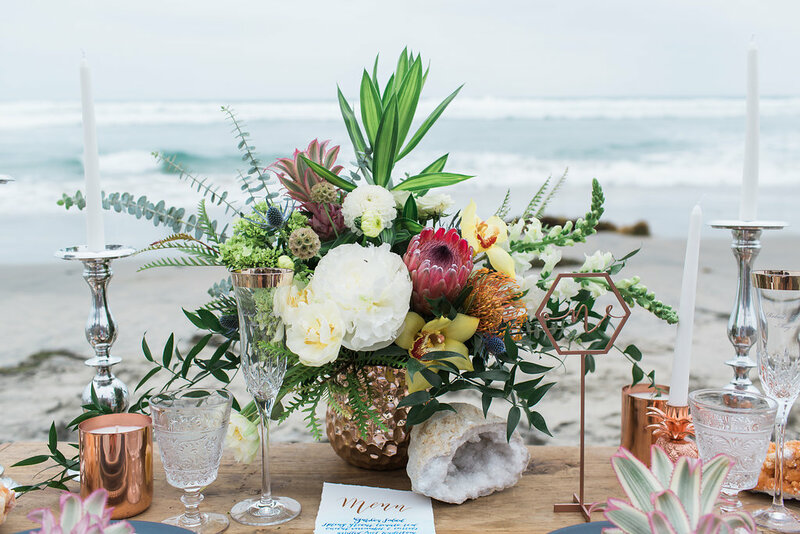 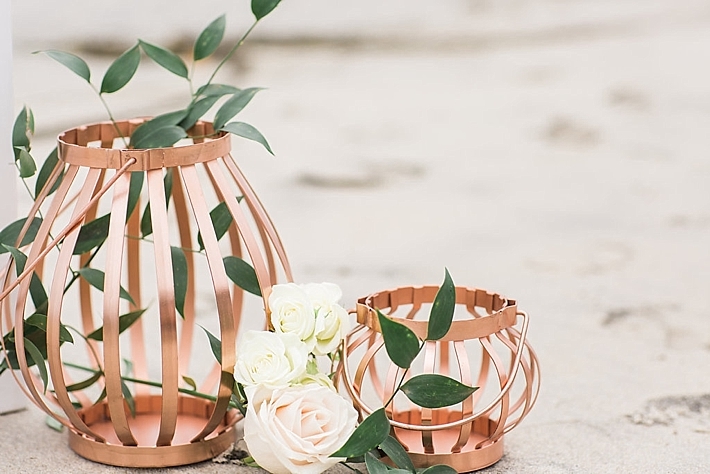 It was important that we maintained a sophisticated and modern design as well, so we incorporated pops of amber, copper, and rose gold. 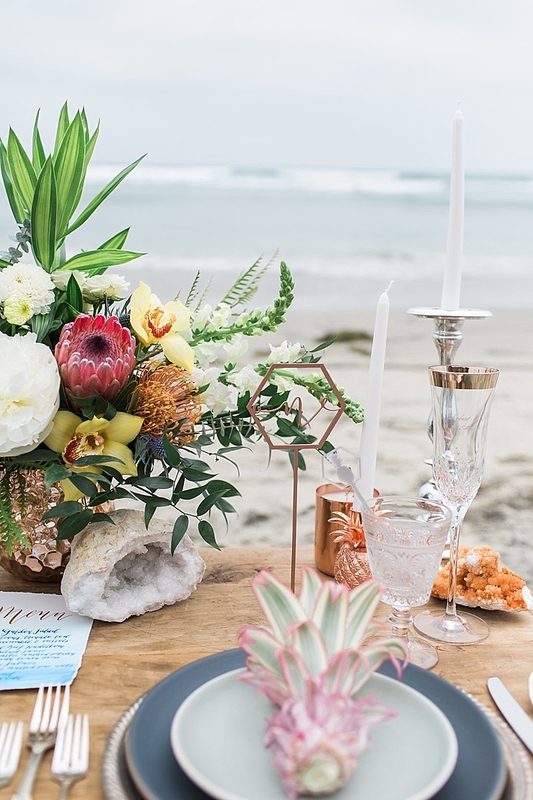 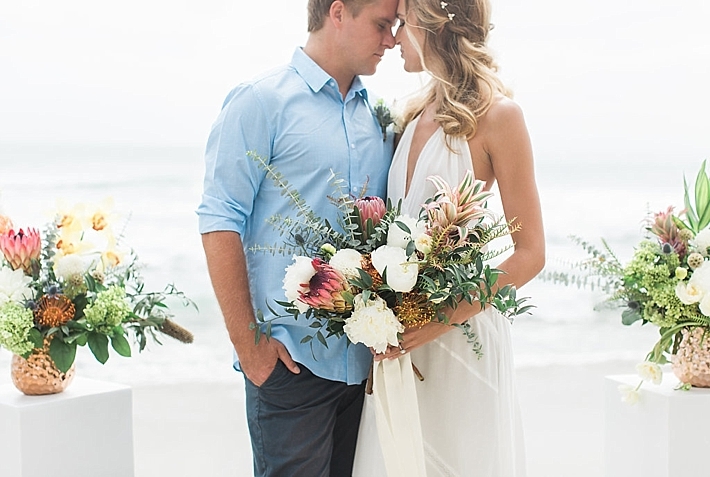 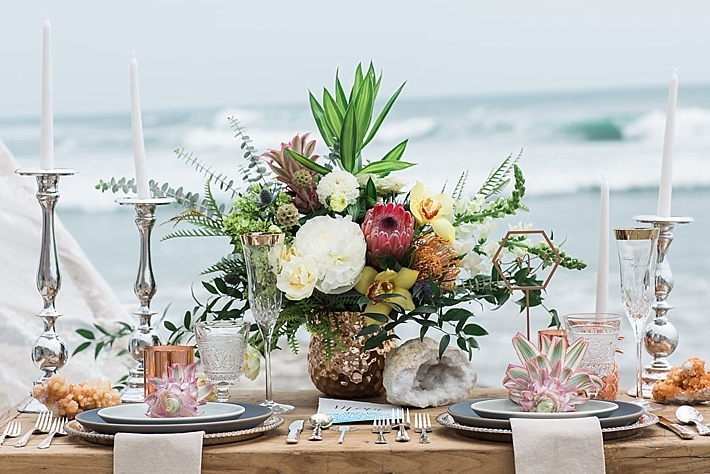 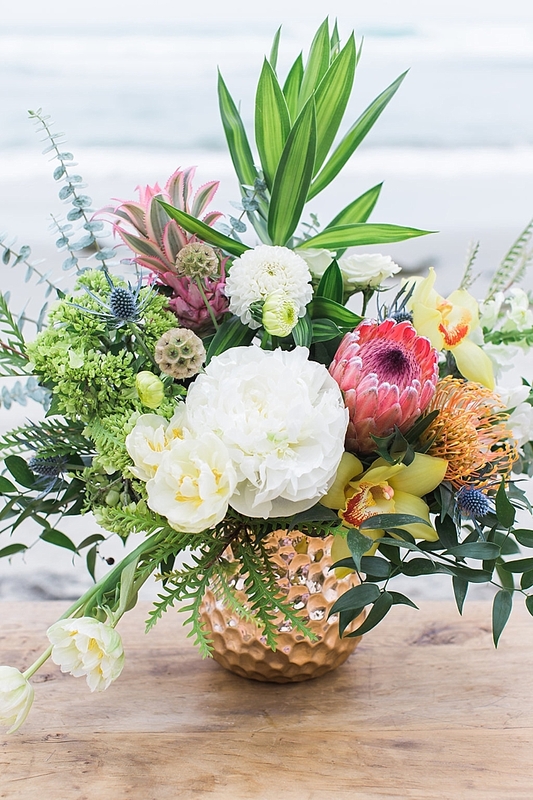 Love Anne Joy's floral design team combined tropical and traditional wedding flowers, mixing both peonies and proteas in the same bouquet to highlight the theme of the shoot.